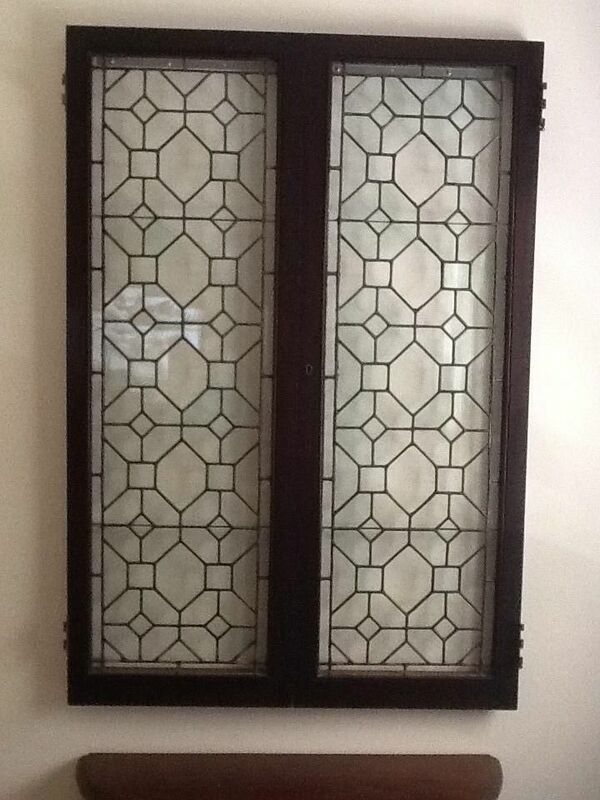 The customer had obtained two (2) leaded glass windows and wanted to hang/display them, as one unit, on the living room wall. 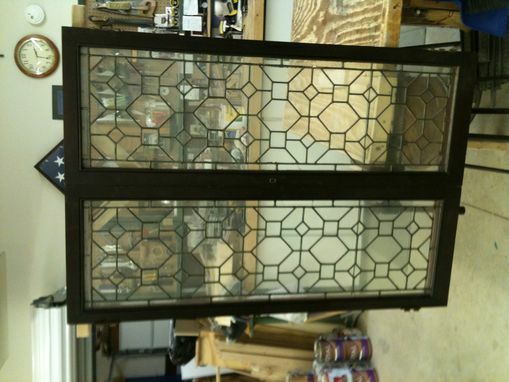 The challenge was that the windows are extremely heavy and very large when mounted together on a wall. 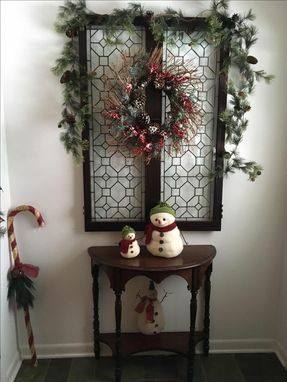 The solution was that a support frame was made and attached to the back of both windows and stained to match the existing color of the window frames. 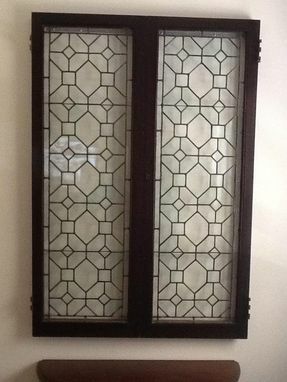 To properly and safely mount the leaded glass windows on the wall it was necessary to attach special hardware to carry the weight, as well as attach it directly to the studs in the wall.